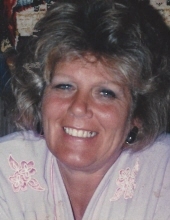 Karen J. Pavlik (nee Svedman), age 82, a resident of Naperville, IL since 1979, formerly of Chicago and Stickney, IL, passed away on Sunday, February 3, 2019 at Meadowbrook Manor in Naperville. She was born on December 28, 1936 in Chicago. Beloved wife of Paul Pavlik of Naperville, whom she married May 3, 1952, loving mother of Michael (Paulette) Pavlik of Yorkville, IL, Susan Sciandra of Salt Lake City, UT, Paul R. (Dana) Pavlik of Sheridan, IL and John S. Pavlik of Naperville, adored grandmother of Nicole (Dan) Geiger, Todd (Haylie) Pavlik, Natalie Pavlik, Michael (Sarah Lorwa) McNamara and Heather Pavlik, cherished great-grandmother of Noah, Scarlett, Harrison and Olivia, devoted daughter of the late Bert and Irene Svedman, dear sister of Joyce (the late Phil) Mason, Bert (the late Mary) Svedman, Jr., Sherry Wiktor and the late Dennis (Jerri) Svedman, fond sister-in-law, cousin, aunt, great-aunt and friend of many. Karen grew up on Chicago's Northwest Side and attended Austin High School. A woman of deep faith, Karen attended Calvary Church in Naperville with her family for many years. In her free time, she enjoyed visiting local garage sales. Visitation Thursday, February 7, 2019, 4:00-8:00 PM at Friedrich-Jones Funeral Home & Cremation Services, 44 S. Mill St, Naperville, IL. Funeral services Friday, February 8, 10:30 AM in the funeral home. To send flowers or a remembrance gift to the family of Karen J. Pavlik, please visit our Tribute Store. "Email Address" would like to share the life celebration of Karen J. Pavlik. Click on the "link" to go to share a favorite memory or leave a condolence message for the family.